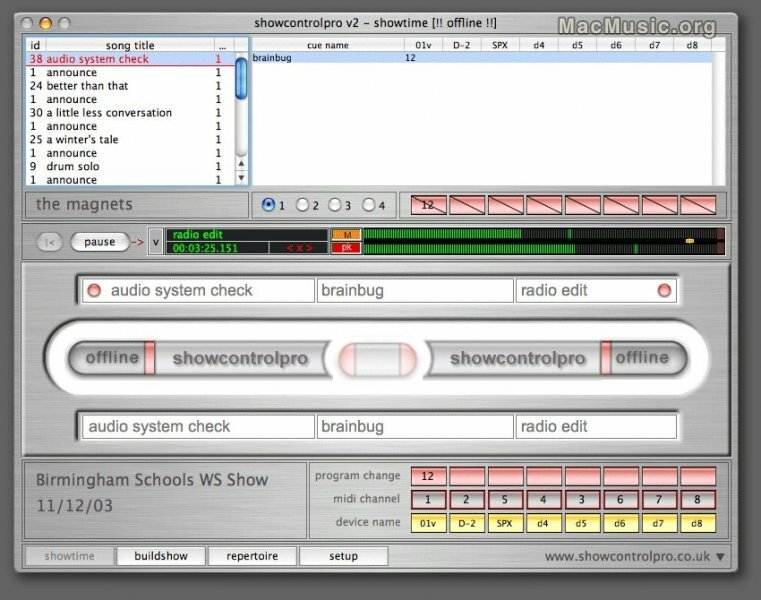 Digital Doctor has released ShowControlPro v2 software for Mac OS X, which allows control of live audio mixes via MIDI. Mix parameters and outboard FX are controlled using MIDI program changes to recall snapshots and patches in digital desks (Yamaha 02R, Digico D5) and FX (Yamaha SPX 990, TC D-2) that are capable of receiving MIDI program change data. This frees up the sound engineer to concentrate on the mix, rather than worrying about changing FX patches manually. showcontrolpro v2 Software Page Post a comment ? Unique Recording Software has realised a digital emulation of Solid State Logic's SSL 4000e Console Equalizer, a six band equalizer (4 bands plus HP/LP Filters) TDM and RTAS plugin. Available for both Mac OS 9 and OS X, URS S 1.0 costs 399 euros and is iLok protected. 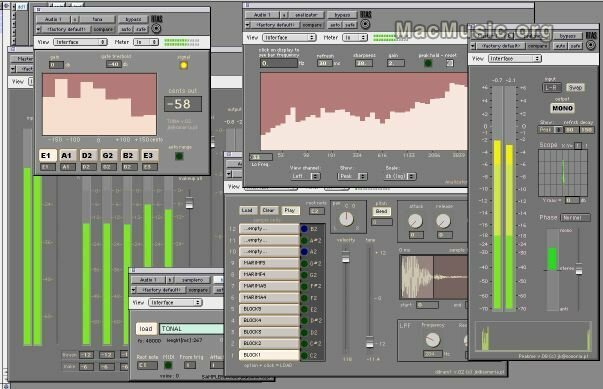 JK Audio Software has announced that three audio plugins for Pro Tools users are available as a free download for Mac OS X. These plugins are Luppo1 (a RTAS looper plugin), Peakme (a peak meter) and Limo (a limiter plugin). These plugins are in RTAS for Mac OS X. Free Plugins Download Post a comment ? Jean Piché from the Montreal University annouces a new version of Cecilia, a graphic user interface for the sound synthesis and sound processing package Csound. This new version 2.5 is now fully compatible with Mac OS X. To run this version of Cecilia, you need to install the Batterie-Included tcl/tk package, drag your Cecilia application into your applications folder and set your preferences on the first Cecilia launch. Cecilia 2.5 is only downloadable by ftp here Post a comment ?